Well I have a new camera on my iPhone 5 but unfortunately this won’t show it off. Next post will. 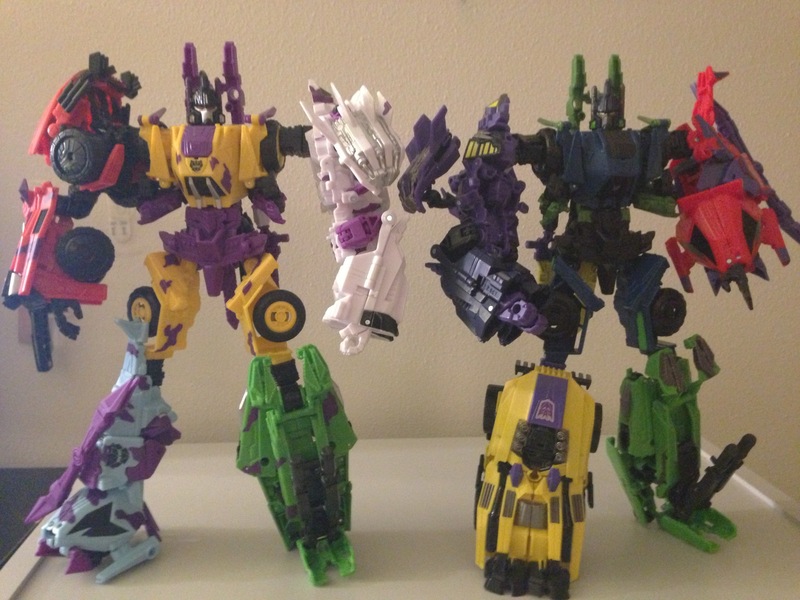 Anyway, on to yet another FOC Bruticus post! I finally tracked down Blast Off and Brawl at a Toys R Us WAY outside my area, so I can finally assemble retail Bruticus! I love these colors. I know, skittles colors and all that noise, but really, they look great. Proving once again this guy is awesome with a little tweaking to the transformation, I’m sticking with this version of the Blast Off arm mode. I like both sets so much but I’m most likely going to keep G2 in Bruticus form and the retail set in individual bit mode. However, TFC does make a Coronation set for the old MP Starscream, and part of the set is weapons, one of which is based on a War Within design. 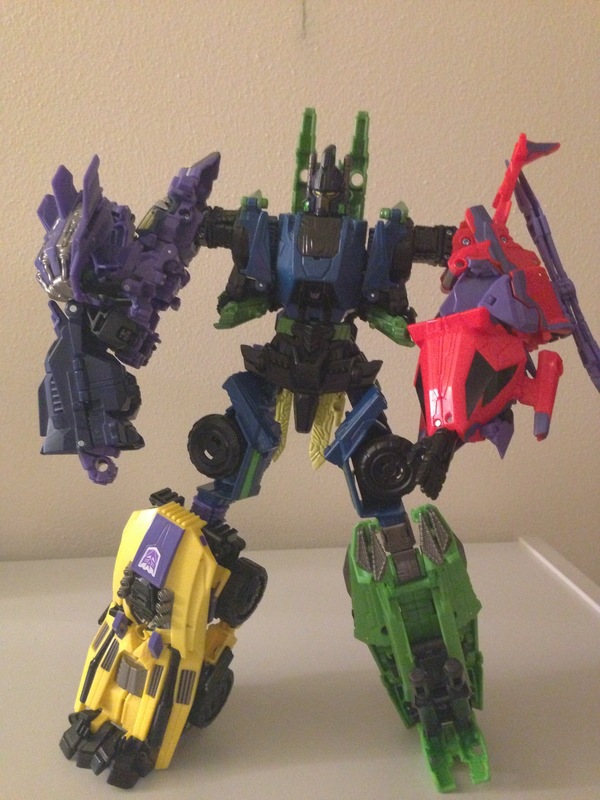 As it turns out though, they work great on Bruticus! Yes, that’s a mini Shockwave in gun mode! It’s a great homage to the G1 episode “The Revenge of Bruticus”! And the claw weapon from the Arial Squad in War Within makes a nice makeshift flamethrower. You can grab the set here. (Worth the price just for shockwave). I’m looking forward to seeing what reprolables comes up with for these guys too! 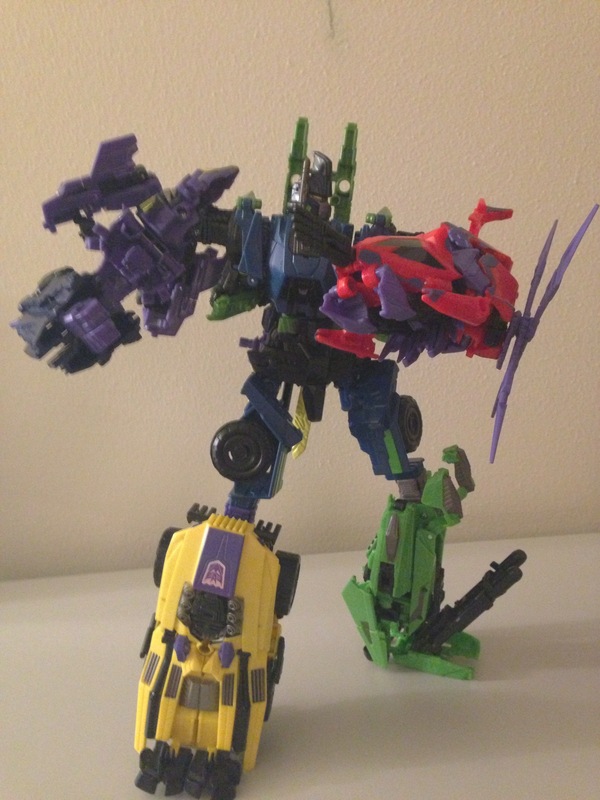 Finally, here’s Bruticus using his “shield”. I still have the Takara set on pre-order so you’ll have to sit through another post in the future, but boy howdy! I love these guys! Up next: I’m going to test out the camera on The Ultimate Gift Set, just to show off the figures quick. Stay tuned! 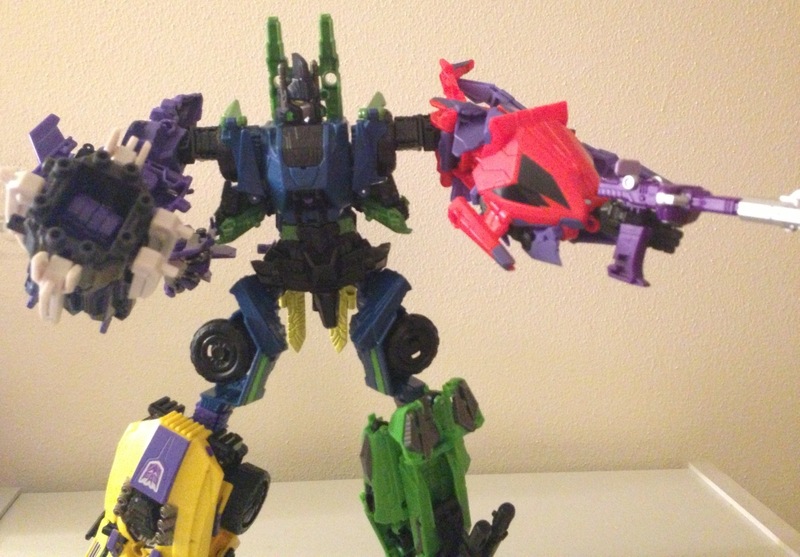 Can you post some photos of how to transform Blast-off into the arm configuration shown? It looks like a great way to pose the arm. Sure thing Scott, I’ll be taking some pictures today and I can get those done too! It’s pretty easy once you get the idea. Also, I really like this combiner design. No extra parts. Ability to mix and match limbs. Stable and pose-able. Great Transformer toy.